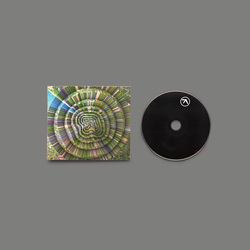 Aphex Twin - Collapse EP. Vinyl EP, CD. Bleep. 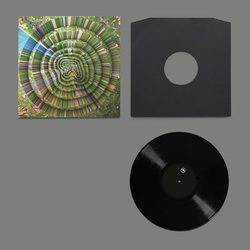 Aphex Twin aka "The Duke Of Rave and The God of Electronic Music" (depending which time of night it is) returns once again with the Collapse EP, a five tracker hailing from the underground. Its five tunes chew up notions of exhilaration with life-affirming abundance, high hats and sauntering arrangements, brain-scrambling noise and much much more, all cloaked in an absolutely jaw-clenching sleeve design from Weirdcore. 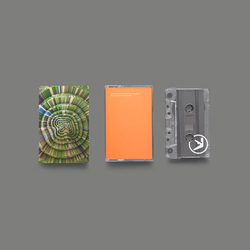 Since returning to the electronic shores with Syro way back when, Aphex Twin has answered many a million prayers from us, you and the masses who make up a certain online forum by gifting us with slab after slab of Braindancing excitement. While the recent years run of live shows have seen him slicing and dicing the freshest lazer-guided melodies from artists including Mark Fell & Gabor Lazar, Jlin, Kamixlo and Lanark Artefax, it would appear that the Collapse EP is the Aphex Twin spin on the post-genre, everything goes, electronic inter(net)underground... Basically this is an amazing and properly fresh record from one of the true pioneers of the hypnotic groove. Make no mistake, Collapse EP hits on every single level imaginable, marking both new ways forward for every future style going, from footwork to electro-dub it even finds time to throw in some of the most stomach-churning darkside pads imaginable. Trust us, when they hit it's like a time travelling Basil Kirchin or early 80's NWW have gate crashed/crashed landed in 2018 only to discover the joys of electronic sequencing and bought themselves matching tanks as some sort of mad keyboard that they are using to fire beats into the truly never-ending possibilities of the studio within the digital age. Joy and happiness lies ahead, Collapse EP is here... fall into its wonderment!